Last month we profiled the experience of a faculty member in the midst of changing her professional practices to include accessibility. This month, we are sharing the experiences of the IT support staff for the same department. Below he shares thoughts about working across a dozen faculty members to help them learn to create accessible materials for their online courses and the online elements for their campus-based courses. The Department of Special Education and Rehabilitation at Utah State University recently began the process of making all of its course materials accessible. I was happy to learn of this initiative as I believe not only should my department be compliant with accessibility standards, but that it has a responsibility to set an example in this regard. While we do have some specific needs for current students which must be met, we also wanted to educate our entire faculty on best practices, and raise the quality of their teaching in general. As the department Technology Specialist, I have tried to offer my knowledge and assistance wherever I can. As the IT support person, I get called whenever someone tries to do something unfamiliar with technology. And while there are plenty of direct answers to questions regarding accessibility tweaks (most covered by materials developed by GOALS) I’ve also found myself giving the following answers with relative frequency. It’s amazing how quickly people can lose sight of the big picture, and probably not too surprising that they lose track of this one. When you’re teaching someone to make a Word document or PowerPoint presentation accessible the big picture isn’t really relevant; you’re teaching them features of Word or PowerPoint. But once that faculty member takes those lessons back to their office and starts tweaking their own course materials, they seem to lose track of “Why?”, and an hour or two later I inevitably get a call. After they try to explain how they’re jumping backward through hoops mangling their document, “Why?” is ultimately the question I have to ask them. And generally, it’s because they’ve lost sight of this one simple principle. Designing accessible materials does not mean you can’t teach your class the same way you always have. You can still communicate with students in the same ways. You can still teach as you always have. But a bit of design breadth when creating course materials makes those materials usable by students in multiple ways. A Word document with proper heading structure looks the same when printed, but is also navigable by screen readers, or even parse-able by document restructuring tools (like something that may make a website out of it). The goal is not to change the look of your documents, nor do you need to make multiple versions of your materials for students with various disabilities. The goal is to make your normal documents and methods more broadly accessible, so all students have as similar an experience as possible. Cyndi Rowland has consulted with us several times during this process, and one of her early pieces of advice was not to rework everything at the same time. It’s painful, it’s frustrating, and people don’t have the time to DO it. Rather, make the commitment that everything developed from this moment forward will be developed accessibly. This way, no one has that annoyance of reworking something, and in a few years the vast majority of your materials will have converted naturally. You should probably also pick a completion date, and as that date approaches you may have to deliberately rework documents that won’t be replaced naturally. But that will be a LOT less frustrating. We really liked Cyndi’s advice, and the department has committed to a 3-year turnover schedule. Of course, there are some materials that need to be reworked more aggressively for students currently in our programs who have disabilities. But in general, this is our plan. Unfortunately, it’s difficult to learn these techniques and processes without a document to practice on. So the first document any faculty member works on will generally be a rework of materials they already developed. And this seems to set up an internal “I need to rework all my existing materials” expectation which was not intended. Okay, this might take a bit of history. As recognition of the needs of people with disabilities has evolved through the past several decades, many institutions developed some form of central disability services office. Frequently on campuses, this is called a Disability Resource Center (DRC). As these were primarily developed in an age where wheelchair ramps or other physical accessibility issues were the most recognized problems; these services focused on accommodating the needs of a person with a disability in the moment. More recently, especially with developing focus on e-learning, this accommodation model is proving insufficient to the needs of students. When an entire campus tries to meet their accessible course material needs through the DRC, the DRC tends to have insufficient resources. As this problem grows, the principle of “similar experience” become difficult to maintain, and sometimes impossible. When this breaks completely, students have begun bringing lawsuits against institutions, which they are increasingly winning. Laws are changing to help define the needs of persons with disabilities; but this is an evolving area. What I have found is faculty often expect the past accommodation model to be sufficient. I explain the problems with the current model, and how faculty can better meet the needs of their students. But this is not to disparage the local DRC! Disability Resource Centers also recognize these problems, and are working to develop solutions. This may be anything from centralizing efforts to make PDFs accessible to captioning services for videos to converting your handouts into braille. Contact your DRC, and find out what resources they have. As an educator, you can take advantage of their capabilities as you develop course materials. They’ll appreciate that you are being proactive, and saving them both repetitive work, and being pressured by students who need documents immediately. After the first workshop with faculty, and thus after we had explained the difficulties with poor visual contrast, I saw a sudden push among some faculty to make all their PowerPoint’s black on white. Some were going for pure Arial. While it was good to see the awareness and concern, it was also saddening that our faculty felt their creativity needed to be stifled. Some quite colorful slides were “cleansed” – backgrounds were stripped and aesthetics ransacked. This is not necessary. Try to watch for faculty who are gutting their course materials. Make sure they understand, they CAN do that neat thing they want. They CAN be creative. They just need to be conscious of a few things when doing so. Honestly, some of these “how can I do this” conversations have been challenging, fun, and strangely enlightening. Sometimes I’ve had to reach for outside ideas and assistance. But I’ve yet to find something that cannot be done. This usually comes up during workshops, as every document that can include charts or images now has a tool to add ALT text to said chart or image. Unfortunately, there is not always one right answer for what should go in that field, or even if anything should. 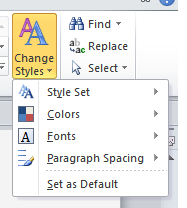 And now that programs like PowerPoint or Acrobat include an “Accessibility Checker,” I always try to stress it can only check for the presence of ALT text, and cannot evaluate its quality or need. There are various rules for how ALT text is structured (no “picture of” for example). But when explaining how to decide what content to put in the field, I usually ask why the image or chart is there to begin with. A chart may only be included so the viewer can tell that a trend line increases over time, so “Chart showing increase in X over Y time” may be appropriate. Or you may intend the viewer to get a few specific details, so you need to specify those details. If you wanted really complex data analysis, it’s likely better to incorporate a navigable table in some way. But in some contexts, even a complex chart may be decorative. We had one discussion during a workshop about a graphic which the faculty member had included simply to amuse their students. It was only tenuously related to the topic, and was just included to lighten the mood. Different faculty thought it should be removed, left but not tagged, or tagged in detail with an attempt to describe the joke. Any of these options could have been right; and I think the discussion helped them see how difficult it is to create rules regarding ALT text. Ultimately, you need to help your faculty see this process as beneficial. Not only will their efforts help their students with disabilities engage equitably in their classes, it may also help them to reflect on the purpose and message of their materials, improving the quality of learning for everyone. If your faculty can embrace rather than resent accessibility initiatives, they can do some amazing things which will reach more students than ever before. From time to time I am reminded of the complexities and nuances inherent in web accessibility. This happens most often when talking to someone new to the effort. I recently visited with a faculty member who is just beginning to address accessibility in her courses. She knows that PDF’s need to be properly tagged to be accessible and she was enthusiastic about doing it, even when it involved retrofitting accessibility elements into her PDF’s. But she was quickly at a stalemate for articles in her course CMS. When this happened she assumed she was doing something wrong, rather than identifying that what was wrong was the document itself. The experience made me reflect on the fact that while we often talk with faculty members about making sure that they have PDF’s that are accessible, we might not provide them with a good enough starting point. Readers of this blog who are familiar with PDF accessibility know that to start to address accessibility of an existing PDF document, you must have a PDF that was properly created. However, many faculty members don’t create the PDF’s they end up with. If the document is not composed of true text, you must use Optical Character Recognition (OCR) on the document before other accessibility information can be added. While this step is less common all the time (thank heavens), it is important that we help faculty or staff understand how they can tell if PDF’s contain true text to begin with. This was the step that eluded the faculty member with whom I was talking. She did not know that she needed to determine if her PDF was a scanned image or not. Because of this she assumed that her first step would be the tagging of the document itself. Of course she could not do this because it was in fact an image. Then she assumed she was doing something wrong. There are many ways for non-technical people to determine if the PDF they wish to make accessible contains true text. Here are two ideas I shared with her and both were easy for her to implement. First, I asked her to see if she could select and copy some portion of text, and second I told her to try to search for some text element on the page. Both were successful strategies for her to determine which pages she could, and could not tag. Getting focus directly onto the text is critical if you will add an element to it (e.g., Header, ordered list). If you are working with faculty on accessibility issues, or are a faculty or staff member yourself working on accessibility, you may be privy to similar situations in accessibility –- where a simple step was overlooked that proved significant for the person trying to create accessible content. We are very interested in hearing your experiences and sharing them with others. Please consider sharing your tips and experiences here. Summertime for many in higher education is a time to catch up on tasks not completed during the academic year. It is also a time when the seeds are sown for new initiatives and priorities that will be fleshed out and approved in the coming year. Many individuals, who work on web accessibility for their institution, work beyond the typical nine-month academic calendar. This combination of events makes summer the perfect time to reflect on initiatives for, and outcomes of, the institution’s web accessibility efforts. Of course when we talk about “web accessibility” we are talking about two things. It is both the process on campus created to improve web accessibility as well as the product of those efforts (i.e., the accessibility of your web content). We have written about this important coupling before (See Assessing your Institution’s Web Accessibility Efforts; Part 1: Evaluating the Process; Part 2: Evaluating the Product). I am hopeful this summer you will ask yourself if your campus is ready for an increased focus on web accessibility this coming year. Some of you are just beginning the process of institution-wide web accessibility efforts –you may be crafting plans to secure administrative support or identifying the best team to guide the campus-wide plans. Others of you are in the midst of writing draft policies or crafting implementation plans. Finally, there are others of you who have these in place and are working through the issues to make sure your planned efforts are receiving the resources and supports necessary for success, and will begin a round of assessment by looking at the actual accessibility of pages. With any of these efforts, knowledge of your institution’s culture of change is vital; is it top-down, or does it require grass roots support? Knowing this can streamline the support of those in administrative positions who can make sure you have not only the support necessary to complete the work, but also the administrative muscle, to work around the roadblocks that inevitably impede the path. Also critical is your knowledge of other institutional priorities such as increasing diversity at your campus or beginning a cycle of reaffirmation with your regional accreditation commission. These are times when you might want to reach out to those whose role it is to engage in those priorities and have a conversation about the many outcomes that are indeed shared ones. Often reaching out to coworkers with these shared priorities can be more effective than attempting to tackle accessibility on your own. So, if your answer is “Yes, I would like to help my campus increase our web accessibility efforts next year”, take the time needed to commit those ideas to paper and reflect on the best strategies to meet your goals. For some of you it may be time to engage in another round of the GOALS Benchmarking and Planning tool. If you create a new cycle before benchmarking again, you can compare your progress to date. You may benefit from looking at where you have already made progress to determine next steps. From all of us at Project GOALS, have a wonderful summer, enjoy some vacation time, and start making plans now for the academic year to come. Fall always comes sooner than we want. For many units in higher education, April is budget month; these budget requests detail expenditures for the coming fiscal year that will begin July 1. Of course, those line items must be a good fit for the implementation planned in the coming year. To that end we have written a resource for those who are creating budget requests to support web accessibility. It is only through the process of securing an adequate budget that your efforts can succeed. Joe Biden once famously said; “Don’t tell me what you value, show me your budget, and I’ll tell you what you value.” If you have budget stories, ideas, or successful strategies to share with others to help with their budget process, please share them here. I look forward to seeing how creative others have become to secure the budget that is needed for web accessibility efforts. We are hearing a lot from the 46 campuses involved as Participating Institutions in the GOALS Benchmarking and Planning Process. A surprising and wonderful element we have uncovered is the different ways campuses have approached completion of their institution wide self-study. It seems fitting to share this information with others, especially those new to the process. Because, while different processes have been used to achieve successful results, it appears that all roads lead to Rome in using the tool to get to intended outcomes. By way of background, the GOALS Benchmarking and Planning Tool was created to support asynchronous communication within an institutional study team. The team leader would facilitate the rest of the team as together, they determine their institution’s response to self-study questions as well as their next steps (i.e., their Action Plan for moving forward). It was thought that by developing the tool this way it would support anytime anywhere participation, thus enabling institutions to include members from across campus (or campuses) and eliminating the need to “schedule” meetings. While our decision was made to provide the greatest flexibility to an institution, we have heard that it is not always the best match. Some teams found difficulties in getting team members to engage in an asynchronous process in a timely way. Some members had never encountered online collaborative work before and this became an issue for them. For others, timelines for completion were not well stated. Also, for some, this self-study was an easy task to set aside either due to competing demands on their time or because the items they were asked to complete were unfamiliar to them (e.g., staff members from the Library might be unaware of how to respond to items regarding procurement policies). When others on the team waited for responses, this created an endless game of “hot potato” at some institutions. All in all, for many institutions, it made for a protracted process that took way too long to complete. To avoid this, institutions began using creative processes to complete the self-study and action plan. These alternative processes were a superior fit to their needs and circumstances. Here are alternate ways institutions are engaging with the Benchmarking and Planning Tool with good outcomes. Face-to-face meetings scheduled well in advance for 2 hours each week for a month. At one institution, the Team Leader recognized that it was not the most effective or efficient use of staff time to have everyone participate throughout all Indicators. So she identified pertinent members to participate at key points in time. For example, she only engaged Human Resources as they discussed how they are securing and retaining technical personnel with expertise in accessibility. Each week, she would provide assignments to different members of the team, and she made sure everyone had completed these assignments prior to the next week. In this way the expertise of the diverse stakeholders was captured without putting them in situations where they felt they did not have contributions to make. Moreover, she was able to shepherd the process along with timely completion. If you have used an alternate process while engaged in the GOALS self-study at your institution, please share it here. Others will benefit from hearing how local solutions improved your ability to complete this important process.